There’s so much to do at Spirit Ridge—from wine tasting to boating to hiking—that you may never want to leave. If you do, however, you’ll discover some of Canada’s finest wineries, which line the famed Golden Mile Bench to the north. Immerse yourself in the landscape, and hike the nearby Chopaka Lookout Trail for unparalleled desert views, or head into town to see the work of regional artists at the Okanagan Art Gallery. 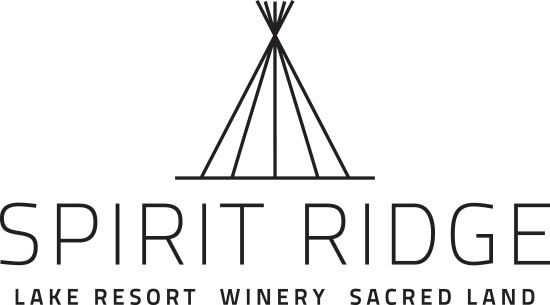 Steps from Spirit Ridge, this Aboriginal-owned-and-operated winery serves wine flights that have earned accolades in Okanagan and Californian wine festivals alike. Kismet Estate Winery pours varietals like the lauded cabernet franc in its tasting room and serves tangy tandoori chicken in its restaurant. Dine by the Hester Creek Winery vineyard in the elegant Tuscan-style eatery Terrafina. Another favorite is the Sonora Room at Burrowing Owl Estate Winery, known for its 2013 merlot. Head to nearby Haynes Point Provincial Park, a narrow strip of land jutting out into Osoyoos Lake, for a close-up look at marshland habitats. Take a stroll down Osoyoos Desert Centre's long boardwalk with a guide to learn about the area’s endangered grassland species while taking in the land’s austere beauty. You are invited to join us to experience and learn about our lands, our legends and our people. See legends come alive in two multi-sensory theatre experiences. Explore the “Living Lands” outdoor exhibit and sculpture gallery. Smell the wild sage along our network of walking trails and admire the view from the Chief’s lookout. Visit a reconstructed village and explore the rich living culture of the Osoyoos Indian Band. Your number one choice for a round of golf in Osoyoos, British Columbia. Nestled in the rolling hills and lush vineyards of this unique region, the stunning 9-hole Sonora Dunes Golf Course is truly one of a kind. Golfers of all abilities enjoy the experience we offer, from seasoned pros seeking to tune up their skills to rookies who enjoy breathtaking views of the mountains and Lake Osoyoos. After a round, relax at Sonora Dunes’ casual and welcoming clubhouse with its covered patios and open deck that overlooks the award-winning Nk’mip Winery. Located west of town off Crowsnest Highway, the painstakingly detailed layout features 45 trains, which chug across huge expanses of miniature landscapes. Make sure to stop by the Okanagan Art Gallery, which proudly displays the sculptures and paintings of regional talents. The Art Gallery Osoyoos—which spotlights guest artists alongside Osoyoos’ best—is down Main Street. On site spa offering treatments to soothe your mind, body and spirit.